Crime is on the increase in most countries and you should consider the ways that you can protect yourself and your possessions. Most people do not want to put up cameras in their homes. There are a number of reasons why people avoid this and you should know what they are. If you want to be able to monitor your home with a camera, but do not want it to be obvious, you should consider using a web cam. It is useful to know how you can set up a web cam surveillance system and link it to your alarm. If you want to monitor your house you may think that you should get a CCTV type camera. While this does the job of securing your property there are a few problem you could find with this. When you have CCTV you are going to be monitoring the outside of your house. This means that if an intruder actually does make it past the camera you have no way of knowing. The inclusion of CCTV on the outside of your house is also not very attractive and could make people think that you have a lot that is worth stealing. Using one is not only better, but it is also easier. It is possible to create and install a web cam security system into your home yourself. Another benefit of the system is that having a web cam does not seem odd or out of place in the normal house. You are also able to keep track of what is happening inside the house and not only the outside. The first step in setting up this type of security system is getting a quality web cam. There are a lot of people who assume that they can use the camera on their laptop. If you are looking for the most incognito system possible then you have to consider one thing. How often do you go out and leave your laptop computer in a strategic area of your house and open? The answer that most people give is not very often to never. You can place the camera in the area that you want to monitor without it seeming too out of place. 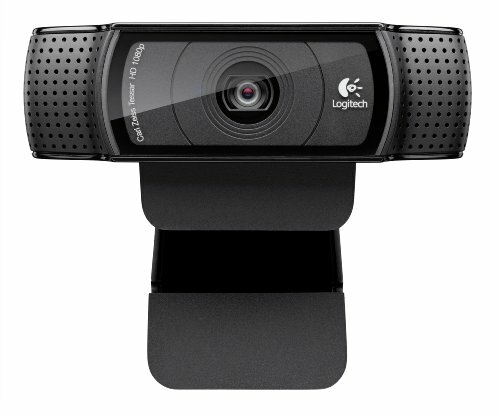 You can hide a stand-alone web cam very easily if you want to complete a more covert system. Stand-alone web cams often come with motion detection which is something that not all laptop web cams are enabled with. It is easy to get quality equipment and you can buy one from a range of stores. You can also look online for the best web cams for security surveillance. There are some people who assume that all you need to set up a web cam surveillance system is a web cam and a broadband connection. This is not true as you should have a software system that is able to help you track movement and record anything that is happening when the system is enabled. There are a lot of different systems that you can use for this and they will all have different requirements. You should consider looking at reviews on the different software programmes before you use them. When you read reviews on the product you are likely to see what your experience will be with them. There are some software providers that are not very user friendly. If you are not tech savvy then you may want to stay away from these providers. You should also consider whether or not you have to pay for the system. If you do then you have to be sure that you are getting your money’s worth. You should also consider whether or not you can get the same service from a free provider. Once you have the web cam and the software you need to set up your surveillance system. The first step would be to place the device in the area that you want to monitor. This location is up to you as some people place the web cam at the entrance of their home while other people place it in an area that is more open. After you have placed the camera where it needs to be you should start up the software you are going to use. Most of these systems will have an installation wizard system that allows you to easily set up everything that you need. You generally have to select the web cam that you are going to use from all the web cams that the system can find. If you are going with the motion detection system then you should select this option in the software. You should also go through all the other settings to ensure that the system is set to what you want. These other settings will include the way that you want to be alerted to any movement in the house and what the system should do if there is movement. Before you start using the system you are going to have to test it. You should test the system a number of times using different scenarios. Of course, the first test you should complete is to check that the web cam is going to record correctly. If this does not work you may have to start the set up again. You should consider web-enabling the system that you are using. This can be done in a number of ways and will depend on the software system you are using. There are some software systems that allow you to access your information at any time online. However, there are other systems that do not allow this. You will of course need decent broadband that can handle streaming from Sky Broadband, Virgin Broadband, BE Broadband, O2 Broadband, or another good quality provider.